We considered 40 iPhone lens attachments and tested nine models in a variety of scenarios and settings (including backpacking through the Cascades) to find the best iPhone lens add-ons. Depending on your needs and budget, we have best overall picks for telephoto and wide-angle lenses, a high-quality (and expensive) kit for more versatility, and also a cheap starter pack for playing around with. 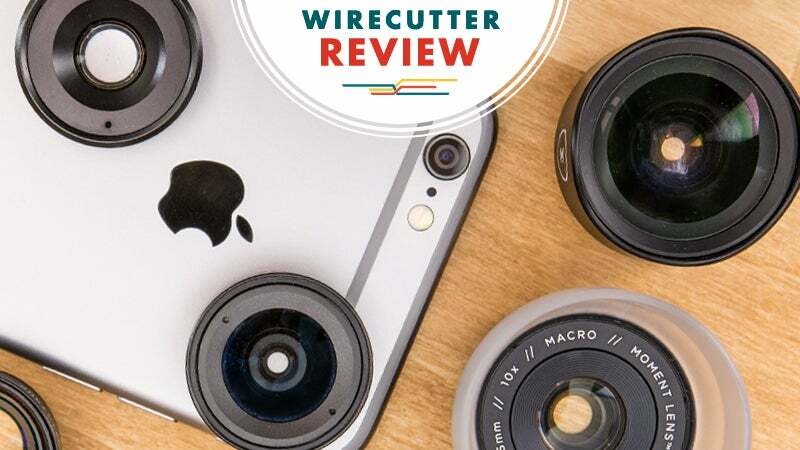 This post was done in partnership with Wirecutter, a buyer's guide to the best technology. 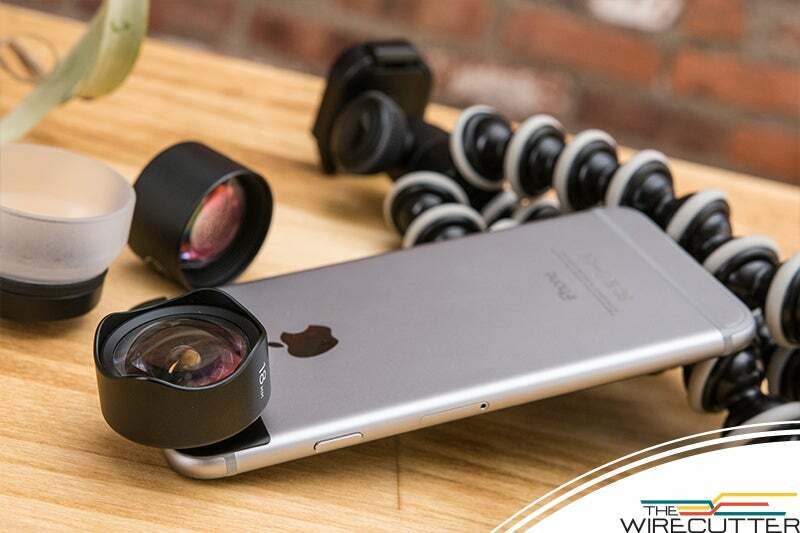 This is a condensed version of The Best Lenses for iPhone Photography; read the full review here. 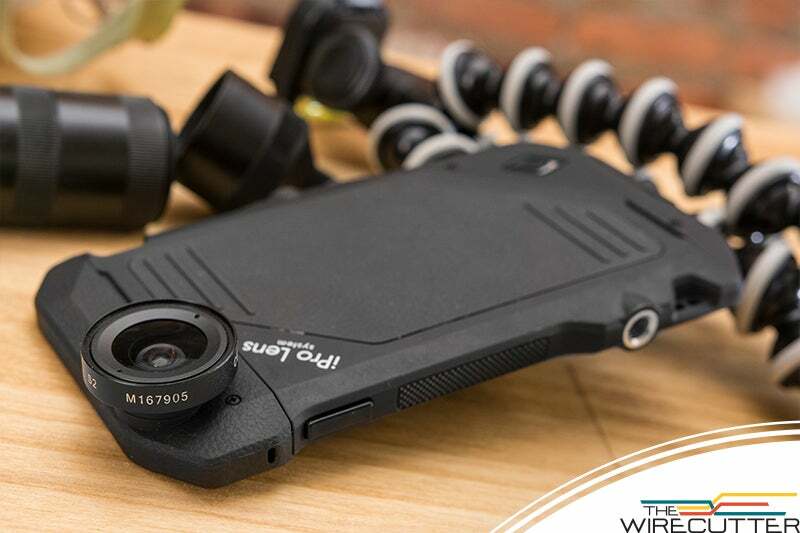 Avid smartphone photographers understand they are shooting with an amazing portable and connected camera that also comes with certain limitations. Among these is a fixed wide-angle lens (equivalent to 29 mm for the latest iPhone 6 or 6 Plus, the popular models we focused on). If you find yourself wishing the "camera that's always with you" could offer you a wider view or a telescopic option, a lens attachment can make your phone feel more like a DSLR or mirrorless camera. A great iPhone lens should enhance, not deteriorate, your images. 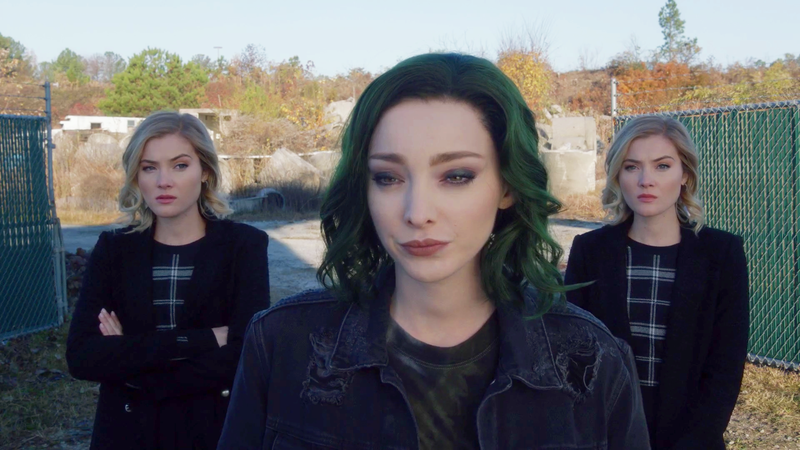 But it's hard to tell how good one will be until you go hands-on. That's why we had Erin Lodi, professional photographer and former mobile-imaging editor at DPReview.com, test nine top-rated products under a variety of settings to find which ones produced the sharpest images. She used each of these to take a macro-style photo of a penny, a wide landscape shot, and a zoomed-in shot (if a telephoto option was available). We carefully reviewed the results to determine which were acceptable and considered this further hands-on experience to reach our conclusions. 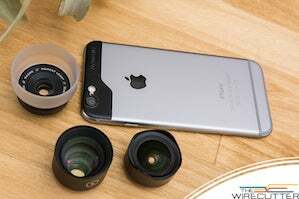 For a smartphone photographer looking to push beyond the limits of their smartphone's camera's fixed focal length, Moment mobile-photography lenses are the way to go. 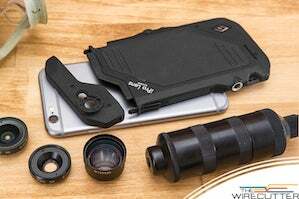 They offer image quality as good as that of anything we tested, and their straightforward attachment system fits easily under most iPhone cases. (Moment lenses are also available in Android-compatible versions.) At $US100 ($130) per lens, they're a great value too. And we're not the only ones who love them: CNET and photo-enthusiast site Fstoppers also commend the lenses' excellent image quality and mounting system. One of the first things you'll notice is the heavy feel of the glass in your hand, confirming that these lenses are serious tools and not just fun toys. And the lenses have the imaging performance to match their weight. We tested both the .63x-magnification wide lens (about 1.5 times as wide as the standard iPhone lens, an 18-millimetre equivalent) and 2x tele lens (60-millimetre equivalent). Both produced crisp and clear images with very little distortion and no vignetting. We noted only minimal chromatic aberration (a common problem with cheaply made lenses in which colours fringe and blur, especially at high-contrast edges). Moment lenses attach to your phone via a stainless steel mounting plate that sticks to the back of your iPhone using a strong, but not permanent, 3M adhesive. (Moment also makes plates for other popular smartphones and devices. You can remove the plate by applying heat — Moment says a blow dryer will loosen the adhesive's bond without damaging your phone.) The mounting plate is slim and blends into the phone's body well. 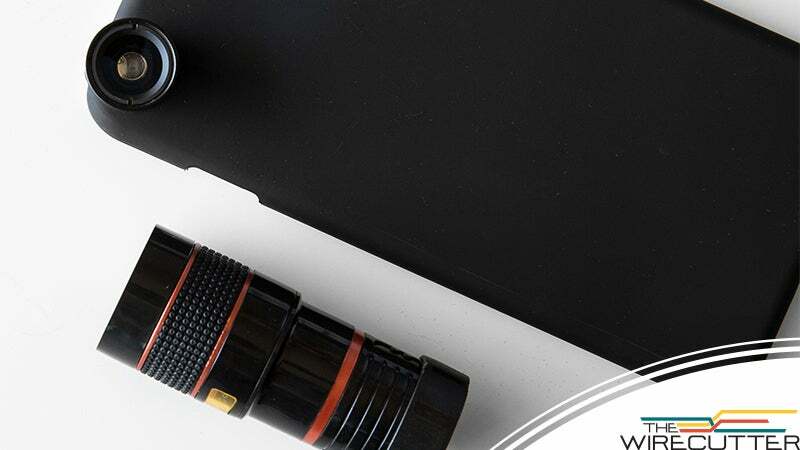 A bayonet mounting system on the plate lets you twist the lens on like you would with a DSLR. The mounting ring is small enough to use through the camera opening on many slim phone cases, including our current pick, the Incipio NGP — which means your favourite method of iPhone protection should work with the Moment lens. Each lens comes with its own soft cloth drawstring bag, which you can also use to wipe smudges off of the lens. You could easily fit a bagged lens into a purse or jacket pocket — but it could potentially be a bit bulky in the pocket of your skinny jeans. The iPro system features a rather clever and secure lens-storage system that doubles as a handle. Its lenses deliver excellent optical quality that's on par with that of Moment's lenses. Like Moment, iPro has telephoto, macro, and wide-angle lenses, but also offers a fish-eye lens and a .45x super-wide-angle lens. This array of lenses makes it a more versatile system. However, the entry price for the iPro system is steeper than that of our primary pick, and you are locked into using iPro's proprietary case when you want to use the lenses. The case alone is currently about $US85 ($111), and the .65x wide-angle lens and 2x tele are $US80 ($104) to $US100 ($130) each. The case is fairly slim in profile, with enough texture to feel secure in your hand. It's easy to put on and take off and it features two tripod mounts, one on each long side. Ease of removal is crucial because if the case is difficult for you to put on or remove it will feel more like a permanent modification to your phone than an attachment you can use at your discretion. That said, the iPro case is nice enough that we wouldn't mind leaving on for long periods, even if it's not our top choice of iPhone case. The CamKix set is four lenses and a required case with a proprietary mount for less than half the price of the Moment. But it's more toy than tool. The lenses' image quality isn't anywhere near that of the Moment lenses, and the mounting case is uninspired-looking, but the set is better than anything else in the $US50 ($65) price range. It's perfect for someone who just wants to mess around with trying lenses out. Just know that if you end up liking it, you'll want to upgrade sooner rather than later. We were initially extremely sceptical of the CamKix lenses' quality — the 8x tele looked especially silly, like a shot glass affixed to the front of your smartphone. But we were pleasantly surprised by the lenses' reasonably good photo quality and the wide assortment of them, which includes a fish-eye lens and a combo macro/wide-angle lens. But while the CamKix's images looked better compared to those made by other cheap kits, they weren't comparable to those produced by the Moment and iPro lenses. We noticed the difference in quality especially around the edges of photos, where we saw substantial blurring, distortion, and noticeable vignetting with the wide-angle. Basically, with the CamKix you get what you pay for. These picks may have been updated. To see the current recommendations, please read Wirecutter's guides. A pharmaceutical science professor in Japan allegedly taught his students how to make the illegal drug MDMA, and claimed it was important for their education.